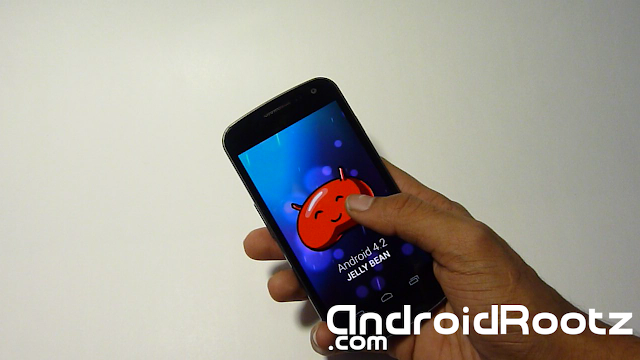 How to Install 4.2 Stock ROM on Galaxy Nexus GSM! [Pre-Rooted] ~ AndroidRootz.com | Source for Android Rooting, ROMS, Tricks and More! This method will just install a stock 4.2 Galaxy Nexus GSM Rooted on your phone. This will NOT unroot your phone! If you already have ClockworkMod installed on your Galaxy Nexus GSM this is the best method to get the full stock 4.2, and it's pre-rooted! This will delete all your apps, contacts, settings, ect...! BACKUP your phone. 1. Download bigxie_maguro_OTA_JOP40C_odexed-signed.zip using the link below and transfer it to your phone. DO NOT unzip it!